BoyRaket.com: AXN Delivers Non-Stop Action in Revenge Thriller “Taken”! AXN Delivers Non-Stop Action in Revenge Thriller “Taken”! Executive producer Luc Besson brings to the small screen the prequel to his international blockbuster franchise in the action-packed drama series Taken, which premieres this September on AXN. Based on the film trilogy of the same name, the series serves as an origin story set in the modern day that follows a young Bryan Mills (Clive Standen), a former Green Beret and CIA agent, and his beginnings as an intelligence operative. While dealing with a personal tragedy, Mills is recruited by Deputy Director of National Intelligence Christina Hart (Jennifer Beals) into her team of skilled specialists as they investigate several terrorist plots that may lead to the arrest of a Mexican drug lord they have been trying to capture. As the season progresses, Mills forms a bond with his team and acquires a very particular set of deadly skills along the way. He fights to overcome the pain he suffered and plans to exact revenge on those responsible for the tragic incident that happened to him. 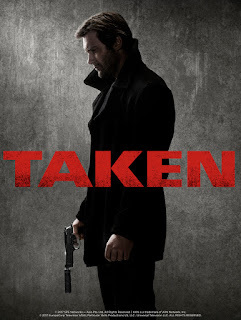 Taken premieres on September 20, every Wednesday at 9:45 pm. First & Exclusive on AXN.